We have downloaded the datasets, separated out Birmingham’s data, cleaned them up a bit and added some additional information to them, mostly to do with locations. By separating out Birmingham data we were left with 500900 properties owned by corporations and 1100 that are owned overseas. Next Tuesday we are hosting our event Who Owns Birmingham? to explore the data and look for stories in it. Ahead of that we though it would be useful to describe that data. So, what is Birmingham’s data like? Each record has a field for the title number, the tenancy type (called tenure) and the full address of the property itself. There are then fields for details of the company that owns the property, including their company registration number, the price they paid and the date that the company was added to the database. The Land Registry have provided a description of both the commercial and overseas datasets that goes into more detail. Not all of these fields are always filled in and it is worth noting the following when starting to look into the data. Title_number, Tenure, District, County, Region, Multiple Address Indicator are the only fields that are always completed. Title_number is the Land Registry’s unique reference for the title. Tenure is either Freehold or Leasehold. The Multiple Address Indicator is either Y or N and “Indicates the title has a Property Schedule and therefore more than one address”. I haven’t worked out what that means yet. Having District, County, Region means that we can always locate a property to at least a district level. Property_address is supposed to always be completed, and it is, with just a few exceptions. In Birmingham just 16 out of the 50900 company records do not have an address and these 16 records don’t have a postcode either. The word ‘proprietor’ is used where most of us would say ‘owner’. Proprietor_name, proprietor_address, proprietorship_category and Additional_proprietor_indicator are supposed to always be completed. Nearly all of them are, only 15 records do not have all three of these categories completed. Postcodes are important if you want to know where a property is and especially if you want to put it on a map. A postcode is not required unfortunately and there are only 28658 out of the 50900 commercial properties in Birmingham that have one. So, that’s 56% of records with a post code. The overseas data is slightly better with 784 out of 1102 records with postcodes. That is 71% of them with a postcode. Note that this is the postcode for the property address, not for the owner’s address. 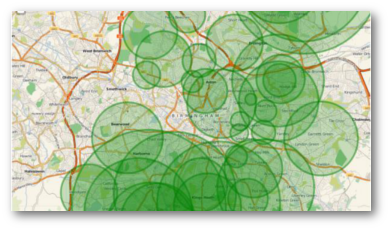 Using a number of methods we have been able to place 65% of commercial properties on the map. This is ongoing work and we expect that percentage to increase over time. Company Registration Numbers are important for traceability. They act as a unique reference for a company and so they are very helpful if you are trying to find out more about them. For example, you can match them with their record on Companies House or Open Corporates and look at who their directors are. The rules on whether a record should have a registration number depend on the type of organisation that owns the property. 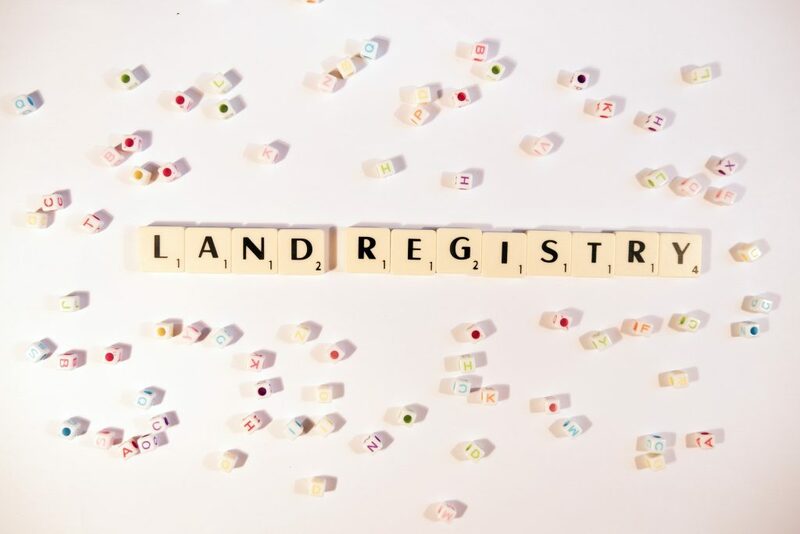 According to the Land Registry documentation all commercial organisations should have a registration number except Local Authorities, County Councils and Corporate Bodies. This isn’t always done. There are 2905 Limited/Public Limited Companies out of a total of 26877 records for Birmingham that do not have a company registration number. At this point, we really do not know why this is the case. We are only starting to explore the data and there may be valid reasons why these fields are empty. Price_paid is rarely completed. There are 44087 blank entries in the 50900 records for Birmingham. This, coupled with the fact that the only date field is when the owner was added to the database, means that there is a lot less information here than we would like. Although this means that statistical analysis is not possible, there is still good stuff to be found here. Those are the basic details about the data. We have also started looking for interesting stories and we are looking forward to digging deeper into the data at Tuesday’s Who Owns Birmingham event. Watch this space for the results and some next steps afterwards. Thanks to the Innovation Engine for their support of Tuesday’s event.